Bergere de France Eclipse 53 Venus, light fawn and white. 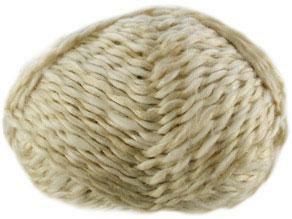 Aran weight two-tone yarn with a subtle sparkle, 20% cotton, 70% acrylic. 50g, 89m per ball.